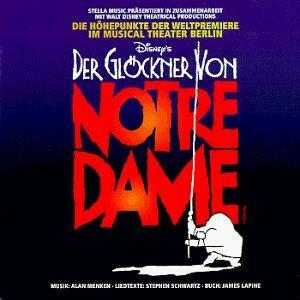 I’ve made no secrets that I love costumes but I got to say the costumes in Der Glöckner von Notre Dame do nothing for me. For the most part they are pretty generic. The costumes were design by Sue Blane of Rocky Horror fame but I feel like there was little to no real effort put into them. My first problem is the use of colors. 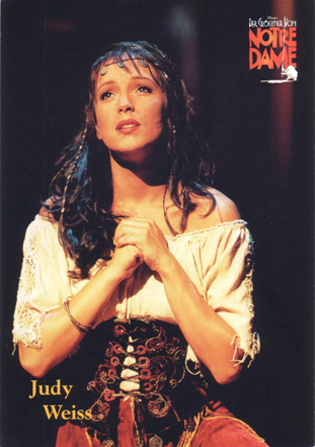 Costumes used in musicals can help identify the characters and colors are a great way to do this. When colors are used like that they can add a style to the overall look of the show. 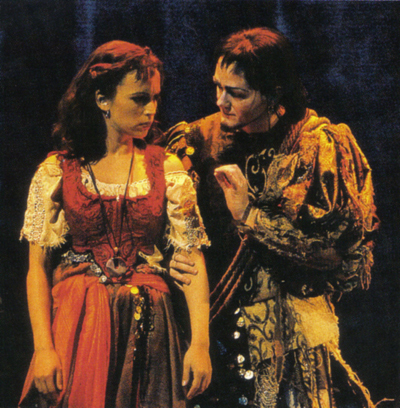 Some examples are Romeo and Juliet where Montagues are in Blue and Capulets are in Red. 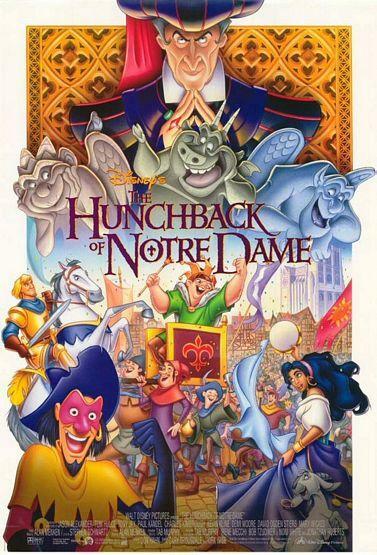 Notre Dame de Paris also does a good job of using colors to distinguish the characters Esmeralda- Green, Quasimodo- Red, Frollo- Black ect. 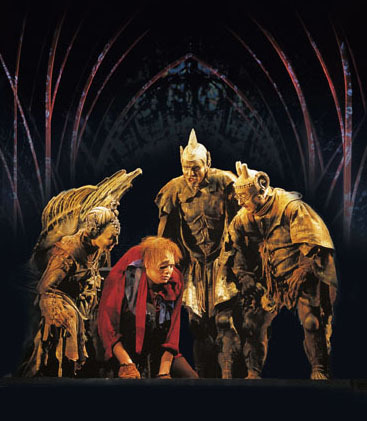 In Glöckner Quasimodo wears red but so does Esmeralda, Clopin wears brown, Frollo wears Black and Purple, Gargoyles in grayish taupe, Phoebus is wears Dark Blue and Gold? So the colors they wear do not make characters stand out from each other. A second problem is the details on the costumes. It not that they’re badly done, it’s just that, if you’re sitting in the audience of the show you’re not going to see them. Little details don’t work in musicals. 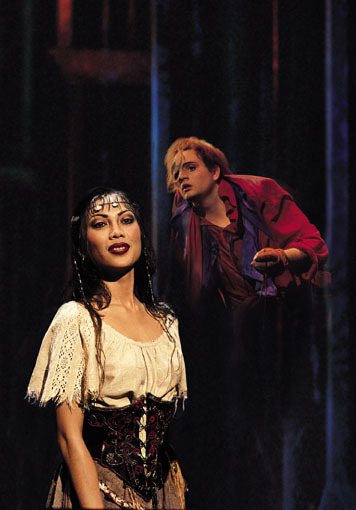 So the lace on Esmeralda’s Blouse and embroidery on her corset are lost to the audience. All the costumes I’m sure are lovely up close but it’s wasted from the audience’s perceptive. The one costume(s) that I like are the a gargoyles, at least they have a sense of drama and design to them. 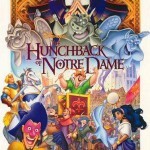 Quasimodo is hardly ugly, Esmeralda looks like she threw together a renaissance fair costume from her closet, Phoebus looks more like a musketeer than Burgundian Knight, the Archdeacon’s costume looks way too modern and Frollo’s costume just looks like they copied Frollo’s costume from the 1939 version, fitting given that Disney copied that movie but kind of lazy. 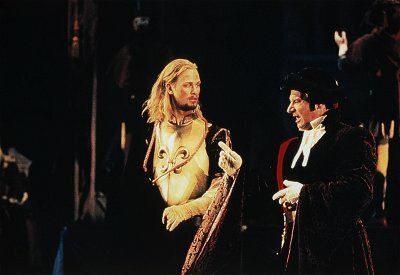 Clopin has two costumes, the beggar and the King of Gypsies, and yet I don’t get a true sense of personality from either one. There is just no cohesion to these costumes, no style no real personality that makes these costume feel like they belong to the show. I think they are aesthetically better than NDDP eyesores but I am not saying they are wow-worthy.